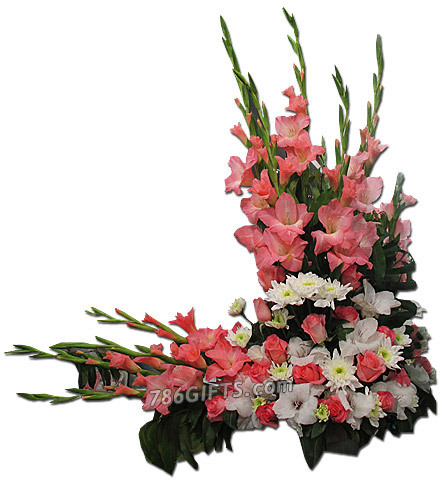 A beautiful flower basket with tube roses and other imported flowers. A great gift for any special occasion. Note: Some flowers are seasonal and might vary with different seasons. Free shipping, gift wrapping and greeting card. © 2001-2019 Tuhfa. All Rights Reserved.